Here at Big Horn Trading, we know that you have a spirit that loves to explore. 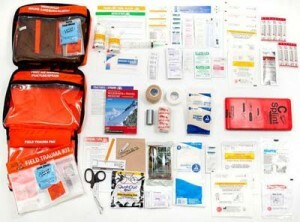 Adventure Medical Kits are now available, providing reliable and convenient tools to help you survive. This hunting season, be prepared for cold weather, cuts, insects, burns, aches and pains, or any kind of trauma you may experience while in the wilderness. 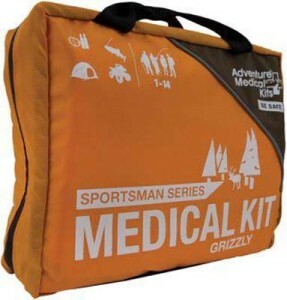 Not only that, but the Adventure Medical Kits offer a comprehensive guide to wilderness and travel medicine to ensure that any situation is handled with professionalism. Strive to stay healthy on land during your hunt and store this kit in your backpack with ease. With products like Nitrile gloves, trauma pads, aspirin, bandages and gauze, closure strips, applicators, safety pins, shears and more, there’s no need to worry about an accident occurring on the trail. These kits are designed for trips up to a week long, with a wide array of supplies to treat common hunting and fishing injuries. You will also find a versatile, detachable field trauma kit fully equipped with QuikClot and other necessary tools to treat serious bleeding injuries. These kits can be the difference between having a minor inconvenience or an extensive mess on your hands.